Loudon-based performance sport boat manufacturer Malibu Boats Inc. said today it plans to buy the equity interests of the Malibu Boats licensee in Australia. Terms of the proposed deal were not disclosed. The Australian business is operated by Malibu Boats Pty Ltd. and includes distribution rights in Australia and New Zealand. The proposed acquisition is expected to close the first half of 2015. “The global unification of Malibu Boats that will result from the proposed acquisition of the Australian business makes perfect sense for the brand moving forward,” Xavier West, director of Malibu Boats Pty., said in a statement. 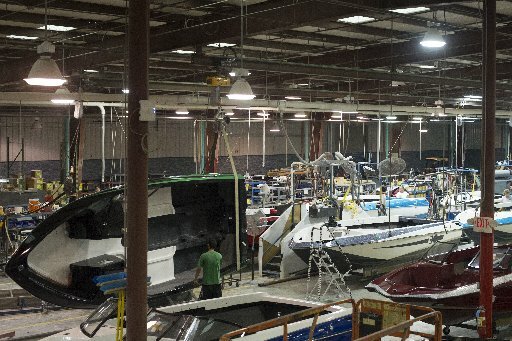 The letter of intent is not binding and the proposed purchase is subject to due diligence by Malibu Boats Inc., the release said. Malibu Boats Inc. designs, makes and manufacturers Malibu and Axis Wake Research brand boats. Shares of Malbibu Boats Inc. were up 52 cents to $19.54 in late morning trading. This entry was posted in Malibu Boats and tagged acquisition, Australia, Jack Springer, Malibu Boats Inc., Malibu Boats Pty LTD, New Zealand, performance sports boat, Xavier West on June 13, 2014 by Roger Harris.